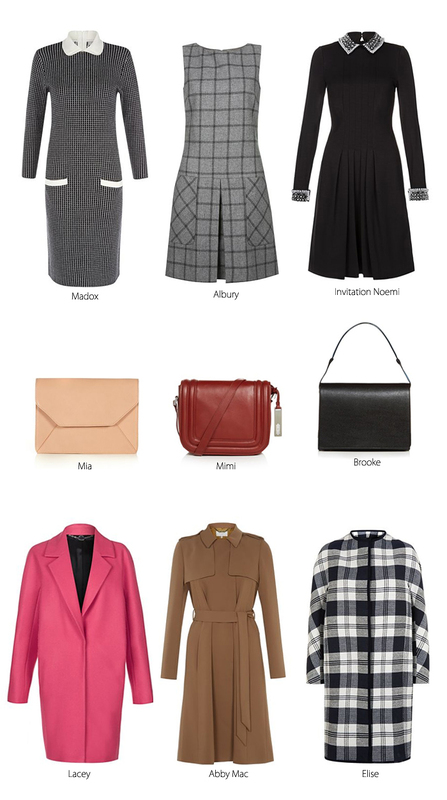 Today's style picks are about clean lines, sharp tailoring, and classic pieces from Hobbs London! If you have never heard of Hobbs, it's an online shopping destination that offers quality and stylish essentials at a relatively affordable price range. Peter pan dresses, classic handbags, streamline coats, printed blouses, and ladylike skirts are a few of my favorites from the website. 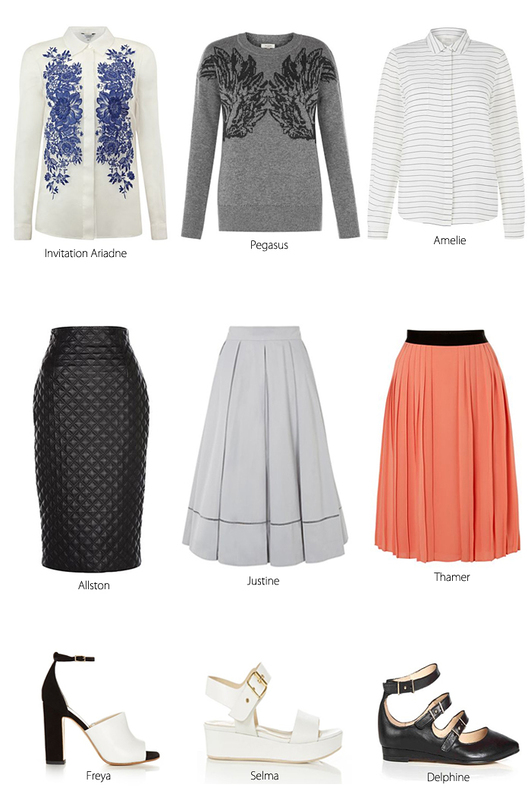 I absolutely love the "Allston" leather pencil skirt! It features a high waist line with impeccable quilting for the modern day woman. I can picture myself wearing the leather skirt with a soft blouse paired with the monochrome "Freya" heels. For a pop of color, I would accessorize with the peach tone "Mia" clutch and a jewel tone statement necklace!